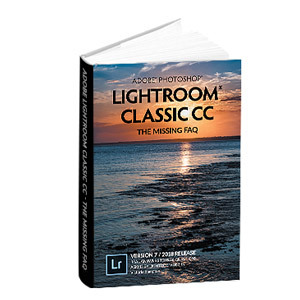 Upgrading from Adobe Lightroom 3 – The Missing FAQ? *NEW* denotes questions that were not in the Lightroom 3 book, and are new to the Lightroom 4 book. 289 of them! There are now 921 questions in total, if I counted correctly! All of the questions that were in the Lightroom 3 book have been checked against Lightroom 4, and many more have been rewritten for changes in behavior or to make them easier to understand. Why is the paperback in black & white print? *NEW* Why is there no File Renaming section in my Import dialog? *NEW* Should I convert to Lossy DNG? *NEW* Should I use Lossy DNG instead of sRAW? *NEW* Do you convert to DNG? *NEW* My camera creates DNG files natively—how do I update them to take advantage of the new specification? *NEW* Can I replace my full size proprietary raw or DNG files with smaller ones? *NEW* How do I find more information about the type of DNG file? *NEW* Can I see a Layout Overlay, to preview the positioning of my photo in its final layout? *NEW* Is there a way to have Apple’s Photo Stream automatically import into Lightroom? *NEW* How does Auto Sync work? *NEW* My eyesight isn’t very good—can I change Lightroom’s UI? *NEW* Why are some folders not slotting into their correct place in the hierarchy? *NEW* How do I move folders into other folders or drives? *NEW* Since flags are no longer local, how do I access my old local flags? *NEW* How do I rename photos back to their original filename? *NEW* Can I do more complex batch renaming, perhaps replacing part of a filename? *NEW* Why did Lightroom delete all of my photos? *NEW* Why are the Location fields dimmed or italic? *NEW* How do I remove a keyword from a photo without deleting it everywhere? *NEW* How do I change the date and time for scans? *NEW* How do I trim videos? *NEW* What do Capture Frame and Set Poster Frame do? *NEW* How do I select a specific frame without constantly sliding the position marker back and forth? *NEW* I’m selecting Capture Frame—why isn’t it working? *NEW* Can I view video metadata such as Frame Rate? *NEW* Can I edit my videos in the Develop module? *NEW* Why does Lightroom keep insisting that I install QuickTime? *NEW* Should I enable OpenGL for video? *NEW* How do I view only the images with the parent keyword and no child keywords? How do I search for a specific filename or list of filenames? *NEW* How do I find empty metadata fields which don’t have an “is empty” option? *NEW* How do I duplicate a smart collection? *NEW* How do I automatically add my smart collections to new catalogs? *NEW* Why doesn’t my Quick Develop panel match the screenshots? *NEW* Why are some of the Quick Develop buttons unavailable? *NEW* How do I reassign a drive letter on Windows? *NEW* How do I zoom in or out? *NEW* How do I switch between different map styles? *NEW* I closed the marker key—how do I bring it back? *NEW* What do the icons mean? *NEW* What’s the difference between a group and a cluster of photos? *NEW* Why are the map markers bouncing? *NEW* How do I avoid accidentally moving a marker? *NEW* Why would I want to turn the marker lock on? *NEW* Why are there circles on my map? *NEW* How do I show or hide the location name overlay? *NEW* How do I view the photos attached to each location marker? *NEW* How do I find a location on the map? *NEW* Why isn’t my location search finding the correct location when I search by name? *NEW* How do I mark photos on the map? *NEW* How do I add photos to an existing location? *NEW* How do I use the Map Filter bar? *NEW* How do I find photos that have no location metadata? *NEW* My locations are currently recorded as keywords or IPTC metadata—how can I add them to the Map module? *NEW* Where do I get a tracklog from? *NEW* Which tracklog formats can Lightroom understand? *NEW* How do I import my tracklog? *NEW* How do I apply a timezone offset? *NEW* How do I match the tracklog with my photos? *NEW* My camera was set to a different time to the GPS device—how do I fix it? *NEW* How do I move a photo or group of photos to a different location? *NEW* Why can’t I move a group marker? *NEW* How do I change the location for a single photo which is currently grouped with other photos? *NEW* How do I delete location information? *NEW* How do I create a saved location? *NEW* How do I change a saved location? *NEW* What does the lock icon on the central spot mean? *NEW* Can I have saved locations within other saved locations? *NEW* How do I return to a saved location? *NEW* How do I find a photo on the map? *NEW* Is a Google Map link available for a GPS location of a photograph? *NEW* How do I filter for all of the photos at a specific location? *NEW* Should I turn on reverse geocoding in Catalog Settings? *NEW* Will reverse geocoding overwrite my existing location data? *NEW* I’ve just turned on reverse geocoding—how do I trigger the reverse geocoding for existing photos? *NEW* What happens if I turn off reverse geocoding and then turn it on later? *NEW* Why is reverse geocoding not working? *NEW* How do I wipe existing location metadata as a batch to replace it with reverse geocoded data? *NEW* Is it possible to connect certain IPTC fields or keywords with each GPS location, so adding images would automatically populate that data? *NEW* How do I make the reverse geocoded data permanent? *NEW* Can I save my location metadata in the files? *NEW* Can I prevent location metadata being included in exported files? *NEW* Why can’t I see the map? Or why does it say “We have no imagery here” or “Map is Offline”? *NEW* Why can’t I import my tracklog? *NEW* What limitations does the Map module have? *NEW* How do I find my catalog on the hard drive? *NEW* I have multiple catalogs with duplicate photos and I’ve been working in all of them—how do I untangle the mess? *NEW* How do I run a catalog backup on demand? *NEW* How can I quickly back up recent changes without waiting for my huge catalog to back up? How does Export as Catalog work? *NEW* Are there any limitations when importing and exporting catalogs? *NEW* Can I share my catalog between 2 computers using Dropbox? *NEW* Can I use Lossy or Reduced Resolution DNG files to take smaller originals offsite? *NEW* How do I use symbolic links with Dropbox to keep my presets synchronized? *NEW* When resolving metadata conflicts, is there a way to preview what will happen? *NEW* How do I render previews after importing the photos? *NEW* Lightroom says my preview cache is corrupted—how do I fix it? How can I speed up browsing in the Library module? How can I speed up browsing in the Develop module? And what are these Cache*.dat files? How do I switch between process versions? *NEW* Should I update all of my photos to PV2012? Or, why has updating my photos to PV2012 spoiled their appearance? *NEW* How do I find photos set to older process versions? *NEW* I’m upgrading from a previous Lightroom version and I’m in a hurry—can you summarize the changes to the Basic panel? *NEW* What does the Exposure slider do? *NEW* How do I decide where to set the Exposure slider? *NEW* What does the Contrast slider do? *NEW* What does the Highlights slider do? *NEW* What does the Shadows slider do? *NEW* Why doesn’t the Highlights or Shadows slider seem to do much? *NEW* What do the Whites and Blacks sliders do? *NEW* I’ve heard that the new sliders are ‘adaptive’—what does that mean? *NEW* Why are the sliders in the wrong order? *NEW* Why do I have Exposure, Recovery, Fill Light, Blacks, Brightness and Contrast instead of Exposure, Contrast, Highlights, Shadows, Whites and Blacks? *NEW* How do the new sliders behave with raw vs. rendered photos? *NEW* How do I turn off the auto highlight recovery to blow a white background? *NEW* Why are some slider values dimmed? *NEW* Which PV2012 Point Curve is the equivalent of Strong Contrast in PV2010? *NEW* Why is Lightroom adding a colored tint to my Black & White photo? *NEW* How do I turn on soft-proofing? *NEW* How do I select the profile for soft-proofing? *NEW* How I add additional profiles for soft-proofing? *NEW* Why can’t Lightroom find my profile? *NEW* Should I select Perceptual or Relative Colorimetric? *NEW* Should I check ‘Simulate Paper & Ink’ when viewing my soft proof? *NEW* Can I change the background color surrounding the photo while soft-proofing? *NEW* Why is Lights Out mode white instead of black? *NEW* What’s the difference between Destination Gamut and Monitor Gamut warnings? *NEW* What should I do if some colors are out of gamut? *NEW* Can I compare my soft-proofed photo with the original? *NEW* What is ‘Saved State’ when using Before/After preview with soft-proofing? *NEW* How should I adjust the photo while viewing the soft proof? *NEW* How do I save my photo after adjusting it for a specific profile? *NEW* How can I tell which soft-proof profile I used for a particular photo? *NEW* Can I export a soft-proof adjusted version with a note to say which profile I was using? *NEW* How do I find all my soft-proof copies? *NEW* How are presets affected by the process version? Or, why aren’t my presets working properly? *NEW* Can I fade the effect of a preset? *NEW* How do I set defaults that will work correctly for PV2010 and PV2012? *NEW* How can I quickly identify virtual copies? Why have the lens corrections created new vignetting instead of fixing it? *NEW* How do I use the Lens Profile Downloader? *NEW* Why is the lens profile available for some photos and not others, all from the same camera? What do the Manual Transform Lens Corrections sliders do? *NEW* Why can’t Lightroom find my custom profiles? *NEW* How do I fix my crop ratio so it doesn’t change when I resize it? *NEW* Why are there grey dots on my photo? *NEW* Why is nothing happening when I brush over the photo? *NEW* How do I fix Moiré? *NEW* Why does a negative Noise brush add more noise? And why would you want to add Moiré? How do I change my Edit In file settings? *NEW* Can I change other External Editor settings, such as a custom subfolder and a different filename for each editor, or a different file format? 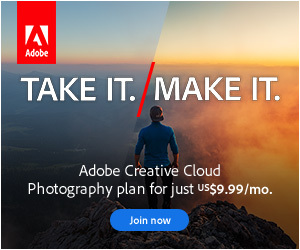 Where does Edit in Photoshop save the edited file? *NEW* When in my workflow should I use Edit in Photoshop or other External Editors? What do the other options in the Edit In menu do? *NEW* How do I export or save my edited videos? Can I strip the metadata from my files, other than the copyright information, like Save for Web in Photoshop? How do I create a more complex watermark using photo metadata, and add a border using LR/Mogrify? *NEW* How do I email my photos from Lightroom via my desktop email software? *NEW* How do I set up my email account within Lightroom? *NEW* What SMTP settings do I need for my email host? *NEW* How do I email my photos from Lightroom directly? *NEW* How do I select which email address to send from? *NEW* How do I set the size of the photos I want to email? *NEW* Can I save a custom Email preset including extra settings, such as a watermark or a different file file format? *NEW* Can I access my main email address book? *NEW* How do I use Lightroom’s address book? *NEW* Why doesn’t it have space for me to type an email message? *NEW* Will a copy of my sent email appear in my normal email program? *NEW* Why does it say my email information is incomplete? *NEW* How can I tell whether a photo has been exported? Where’s my favorite photo sharing website? *NEW* How do I set up my Flickr or Facebook Publish Service accounts? Which settings should I use for Privacy & Safety? *NEW* How do I add photos into an album that already exists on Facebook? *NEW* How do I mark photos as already published, so they don’t upload again? *NEW* How do I remove photos from the website? How do I remove photos from my Lightroom catalog without removing them from the service? Why is there a question mark on my Publish Service? *NEW* How I do zoom in on book pages? *NEW* What is Page Bleed? *NEW* What is Text Safe Area? *NEW* Why are there numbers on the photos in the Filmstrip? *NEW* How do I start a clean book? *NEW* How do I select a book size and type? *NEW* How do I add a new page? *NEW* What’s the difference between Add Page and Add Blank Page? *NEW* How many pages can I have in my book? *NEW* How do I put multiple photos on a page, or create a double-page spread? *NEW* What’s the difference between the grey cells and the white ones with grey lines? *NEW* What’s the difference between the Clean, Creative, Portfolio, Travel & Wedding sets? *NEW* How do I select a page without moving its contents? *NEW* How do I change the template for an existing page? *NEW* How do I rearrange the page order? *NEW* How do I insert a page between existing pages? *NEW* How do I delete pages? *NEW* Why can’t I delete the last page? *NEW* Can I duplicate a page? Or can I copy the layout from a previous page? *NEW* Can I change the size of the photo cells? *NEW* Can I link opposite cell padding sliders, to move multiple sliders in one go? *NEW* Can I create custom templates? *NEW* How do I create a favorite template? *NEW* How do I remove a template from my favorites? *NEW* How do I use my favorite templates? *NEW* How do I use Auto Layout? *NEW* How do I create an Auto Layout preset? *NEW* What does ‘Match Long Edges’ do? *NEW* How do I control which metadata is used for Photo Captions when using Auto Layout? *NEW* Why does Auto Layout say I don’t have any favorites? *NEW* Why isn’t Auto Layout doing anything? *NEW* How do I add a photo to a page? *NEW* How do I add all of the visible photos to my book in one go? *NEW* How do I rearrange or swap the photos? *NEW* How do I zoom into a photo? *NEW* If the photo doesn’t fill the cell, how do I adjust the position? *NEW* If I’ve changed the zoom, how do I change it back to Fill automatically? *NEW* Can I set it to automatically fit the photos to the cells, rather than filling the cell? *NEW* How do I remove a photo from a page? *NEW* How can I tell which photos I’ve used so far? *NEW* Can I filter to see which photos are currently used in my book? *NEW* Do I have to fill all of the cells on the page? *NEW* What does the exclamation mark on the photo mean? *NEW* When I’ve finished designing the book, can I go back and apply further Develop changes? *NEW* How do I change the background color of my pages? *NEW* How do I add a photo as a page background? *NEW* What’s the difference between Page Caption, Photo Caption and text cells on page templates? *NEW* How do I add text to a page? *NEW* How do I automatically enter text based on metadata? *NEW* Can I add use other metadata apart from Title or Caption? *NEW* Why is the text field not updating when I change the related photo? *NEW* I’ve changed the metadata—how do I update the text in the book to match? *NEW* How do I change the default text? *NEW* How do I remove text captions? *NEW* Can Lightroom check my spelling? *NEW* Can I zoom in closer to read the text? *NEW* How do I remove the placeholder text? *NEW* How do I see where the text cells are? *NEW* How do I position the text on the page? *NEW* What’s the red square marker with a cross in the middle? *NEW* How do I change the font and size? *NEW* How do I change the text color? *NEW* I’m moving a text slider—why is nothing changing? *NEW* How do I adjust the line height? *NEW* What are Tracking, Baseline, Leading and Kerning? *NEW* How do I use the Text Targeted Adjustment Tool? *NEW* How do I adjust the horizontal and vertical alignment? *NEW* What is the gutter? *NEW* How do I change the text style on multiple text cells? *NEW* Can I save my text style to apply to other cells? *NEW* Why doesn’t selecting the ‘Title-Sans Serif’ preset fill in the photo Title metadata? *NEW* How do I add spine text? *NEW* How do I change the spine or cover color? *NEW* How do I wrap a photo around the cover, including across the spine? *NEW* How do I save my book? *NEW* What’s the difference between a saved book and an unsaved book? *NEW* How do I edit my saved book? *NEW* How do I create a snapshot of my book, in case I make changes and want to go back to a previous version? *NEW* How do I remove all of the photos from the book without clearing the page templates? *NEW* How do I save my book layout as a template for use on other photos? *NEW* Why are other vendors not available for printing books? *NEW* Can I view a soft proof of my Blurb book? *NEW* How do I save my book as a PDF? *NEW* What’s the difference between a PDF and a Blurb PDF? *NEW* What quality, color profile, resolution and sharpening settings should I select for my PDF book? *NEW* How do I select quality, color profile, resolution and sharpening for a Blurb book? *NEW* Which cover style and paper should I select? *NEW* How much will my Blurb book will cost? *NEW* What is the Logo Page? *NEW* How do I send my book to Blurb? Can I add Intro and Ending slides? What about title slides in the middle of the slideshow? How do I set individual slide durations? *NEW* How do I save my slideshow? *NEW* How do I edit my saved slideshow? *NEW* How do I select which template will be used for an Impromptu Slideshow? *NEW* How do I select which photos to include in my contact sheet? *NEW* How do I save my print? *NEW* How do I edit my saved print? *NEW* How do I compensate for prints that are too light, too dark or too flat? *NEW* Why is workflow important? *NEW* How should I design my workflow? *NEW* How do I show hidden files to find my preferences and presets? Why won’t Lightroom 4 install on my computer? Do I have to install Lightroom 1, 2 or 3 if I purchased an upgrade version? If I install Lightroom 4, will it overwrite my current Lightroom 3 or earlier version? Which catalog versions will upgrade to Lightroom 4? How do I upgrade my catalog from version 3 to version 4? If I upgrade, can I go back to Lightroom 3? Do I have to upgrade a catalog before I can import it into version 4 using Import from Catalog?